Harold Ure was a son of Heber Jones Ure and Myrtle Pack Ure. 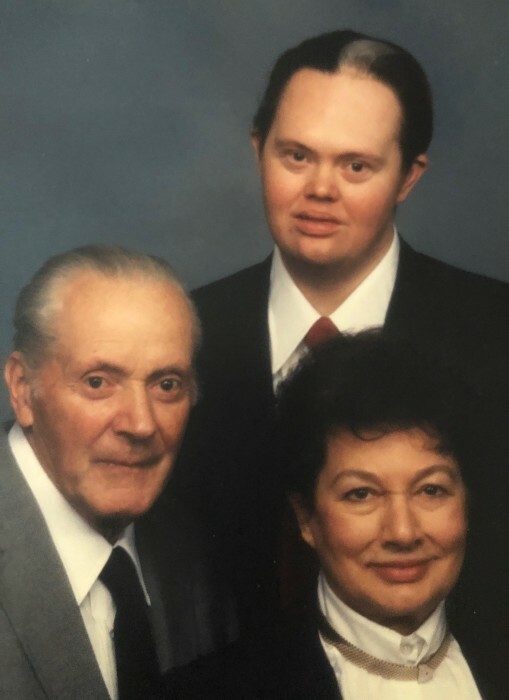 He married the love of his life Elizabeth Betty Lou Ferguson on Feb 2, 1945 in the Salt Lake Temple, of the Church of Jesus Christ of Latter Day Saints. Harold was a successful entrepreneur having opened, run and sold several businesses along with numerous real estate investments. His greatest success however, was his incomparable testimony and relationship with his Savior Jesus Christ. He exemplified in every decision the guideline of “what would Jesus do” through his kindness, generosity and steadfastness toward those Gospel principles that were the fabric of his life. Harold lived an envious century-long life filled with wisdom, joy and happiness that would transfer to anyone who was in his presence. One of the greatest generation has gone home. He is preceded in death by his wife of 69 years, who is surely awaiting his arrival and will continue her undying adoration on the other side of the veil, along with his children Shirley, Marilyn, William and Clay, 3 brothers, 2 sisters and grandson Darin. He had 11 grandchildren, 35 great-grandchildren, and 6 great-great grandchildren. His brother Don, 102 years old still lives. He is survived by his sons Harold David (Cynthia)of Downey ,Idaho and Richard (MaryAnn) of Erda, UT. Services will be held Saturday, December 15, 2018 at 11:00 AM, at the Cannon Mortuary , 2460 Bengal Blvd. , Salt Lake City, Utah. A viewing will take place from 10:00 AM prior to the services. Full obituary and condolences can be shared at cannonmortuary.com. In an age when formal education was not as vital as it is today Harold knew more about more things than a masters or doctorate degree could teach him. His mind was brilliant and very logical. He said the same of some of his brothers and sisters. He has passed many of his talents on to his son, grandsons and great-grand-sons. His favorite words to live by were "The impossible only takes a little longer," and "I sleep when the wind blows" Meaning he always thought ahead of what needed to be done. Harold knew about things ranging from automobiles to airplanes. He built both. He built things from homes to gas stations. What he didn't know his family taught him. He had jobs with his brothers and sisters building such things as major dams in California and swimming pools in Utah and Colorado, including the pool at Lagoon. At a very young age he bagged groceries and swept floors in the Belvadere Hotel in Salt Lake City. He was a security police in Federal Heights in Salt Lake City. He cut down trees, clearing mountain sides for logging companies with his dad and brothers. He owned auto shops and gas stations as well as a hamburger shop with groceries which they called "The Quick Shop." He built the building it was in and later added living space above and behind it. Much later in life than anyone thought possible he bought a canyon in Idaho and they lived in a stake side truck and built a huge barn with living quarters and finally a large home. They had left the home he built in Cottonwood Heights when they were first married. They were one of the few in the area which has grown to a highly populated area. He did everything with cash. So, when he had the opportunity to buy land in the area the banks wouldn't loan to him because he had no "credit." He built the only all cement home for a wealthy man who was worried about being bombed. Harold ran businesses for others and increased their productivity. He serviced school busses for Jordan school district. Harold served a Stake Mission and was able to teach people who others had deemed unreachable. "The Three Muskateers'," Harold, Betty and Clay, served as missionary guides on Temple Square. He always knew The Gospel of Jesus Christ of Latter-day Saints is true. Studying the scriptures was his favorite pass time. He choked up when he spoke of how good the Lord had always been to him. He knew he was blessed. He loved having the great grand kids come to his apartment. There was always a treat waiting for them. The dogs are missing him too. He had a special way with animals. 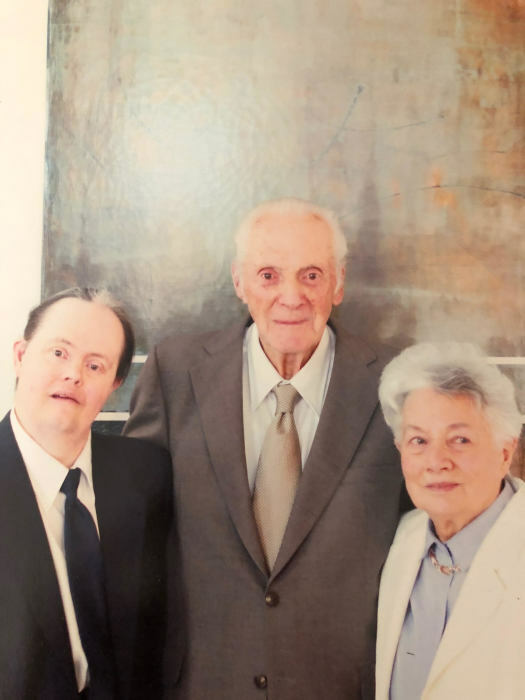 His biggest heart break, not withstanding the loss of 3 babies, one son, his wife and a grandson, was when he was no longer allowed to drive a car at age 97. We have videos of him telling some stories of his life but how we wish he had written a book to add to others by "The Greatest Generation." We will miss him but can't be sad when we think of the great reunion he is having with his loved ones.